Scratch Jr is not a new app, but I recently discovered it works brilliantly on my kids Amazon Fire tablets. 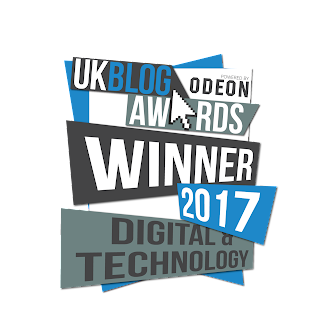 We've been exploring Scratch recently as they are celebrating their 10th anniversary in May. Scratch Jr is a prequel mobile app to the Scratch web application which many kids are using in schools these days. Scratch Jr is a fantastic app to introduce young kids to coding concepts and logical thinking. Update: New Amazon Fire tablets announced for 2017 including a new 8" model. We are big fans of Amazon's Fire tablets, especially in the hands of young kids. I was looking for inexpensive tablets for my younger kids to play Minecraft Pocket Edition multiplayer (previously they were sharing an old iPad 2 and couldn't play the game together!). The Amazon Fire tablets on a Black Friday deal was the perfect solution. Unfortunately not all the apps we love make it onto the Amazon Appstore, although we think more apps should - we love that Scratch Jr, Minecraft Pocket Edition and Wonder Workshop's Dash & Dot apps are available natively. To be fair, the tablets don't have a lot of memory (you can purchase additional memory cards) so I am perfectly happy for my kids to only have access to a few useful apps. This also means their screen time is limited, as they only access a limited number of apps. The Amazon Fire tablets are a good option for younger kids with their smaller screen size and easier handling for small hands. 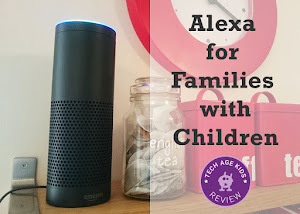 The Amazon FreeTime is also geared towards a younger audience - read our comparison of the Fire Kids Edition and Basic Fire tablet. 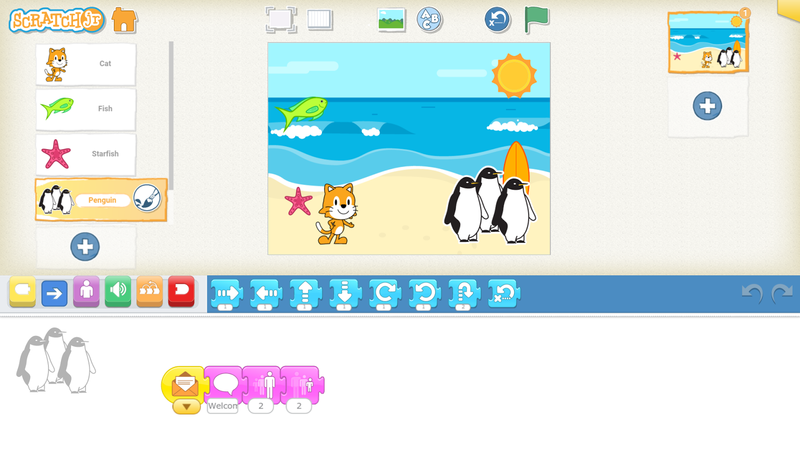 Scratch Jr is a programming language specifically designed with young kids in mind. It's based (and developed by the same team at MIT) on the very popular coding language, Scratch, which many kids use in school these days. Scratch Jr is designed for non-readers and suitable for kids from 3 years and up. Officially it's recommended for 5-7 year olds, but there is a lot of scope for parent and child exploration for younger kids all the way to older kids making some complex games and animations on their own. Scratch Jr is an introduction to block-based coding. You code in a linear way from left to right. In Scratch, the code blocks snap together top down. Some features, cross over, like pressing the 'green flag' to run your program. You can code characters to move, jump, spin and dance, change backgrounds, record sounds and even take pictures to make your own games, stories and animations. Instead of playing a game or watching an animation, why not encourage your kids can make their own? Scratch Jr is available as a free download on iOS, Andriod and Amazon devices as well as an app on Chromebooks. The video below gives a nice introduction to the app and the type of things you can do on it. You can also visit the Scratch Jr website where you can learn more about the interface, paint editor and block descriptions. There are also a number of activities available online as downloadable PDFs to get you started. The 'Official Scratch Jr Book' is a great resource for families looking for guided projects for the app. The guide book includes a number of sequential projects to create stories, games and animations. It's available as a digital download or hard copy. It highlights connections with literacy and mathematics and includes tips for grown-ups in every project. Scratch Jr is a must-have app to introduce young kids to coding concepts. Kids love creating their own games and stories and it's great they can record their own sounds to use in the app. My kids LOVE this feature! 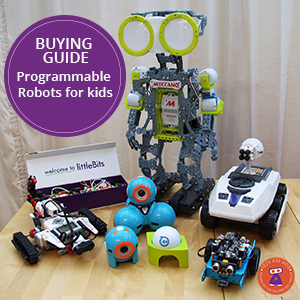 You don't have to know Scratch Jr before you can move on to Scratch, they are similar but different in many ways. (Read more about Scratch) BUT Scratch Jr is perfect for non-readers. It's a lovely app to explore with your child and learn new skills together. 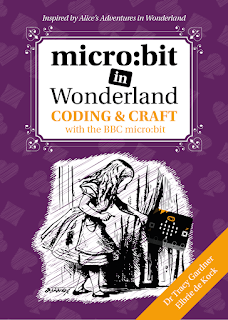 The coding environment is kid-friendly, intuitive and really easy to learn. Kids can be left to explore the app on their own too - we especially like there are no ads or "additional" content kids can accidentally tap. When families attend our monthly Coder Dojo with younger siblings, we almost ALWAYS recommend they download the Scratch Jr app and they're almost ALWAYS happy they've done so!